The First National Bank Of Westfield in Massachusetts printed $7,609,710 dollars worth of national currency. Once a bank issues that much money there really isn’t much room for rare issues. However, there are certainly exceptions to every rule. This national bank opened in 1864 and stopped printing money in 1935, which equals a 72 year printing period. That is considering a long operation period for a national bank. During its life, The First National Bank Of Westfield issued 28 different types and denominations of national currency. We have examples of the types listed below. Your bank note should look similar. Just the bank name will be different. For the record, The First National Bank Of Westfield was located in Hampden County. It was assigned charter number 190. The First National Bank Of Westfield in Massachusetts printed 1,533 sheets of $1 original series national bank notes. A print range between 1,000 and 2,500 is small. Combine that with something that was printed before 1875 and you can imagine that these notes are few and far between. 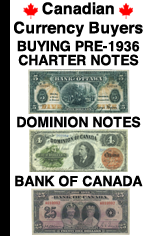 One of the most interesting things about early first charter one dollar national bank notes is all of the different slight variations you can find. Some notes have a red charter number, others do not. Some have red serial numbers and some have blue serial numbers. Some are printed on white paper and others are printed on paper with a slight blue tint. You can really find lots of different ways to collect these. Generally speaking, prices for “first charter aces” are down from their highs. So there are some bargains in this arena of collecting. The First National Bank Of Westfield printed 1,533 sheets of $2 original series national bank notes. It is important to know production numbers for original series two dollar bills for informational purposes. All $2 bills printed before 1875 are very rare and highly desirable. Most survivors represent the only known example for that bank. Collectors call these $2 bills lazy deuces. The large two on the face of the bill is pictured horizontally, thus making it look lazy. Don’t be fooled by the silly name though. These can be worth significant amounts of money on many occasions. The First National Bank Of Westfield also printed 11,500 sheets of $5 original series national bank notes. These notes were only printed until 1875. For a national bank to print more than 10,000 means that they were doing a lot of business. Your exact note is likely still rare. The value will be more condition based than rarity based though. Each five dollar original series bank note has a spiked red seal. That is pretty much the only design difference between it and later issues. These are really beautiful notes. One neat thing about these is that the back of each note has a vignette of the corresponding state seal. Some of the state seals are very imaginative. Collecting by state seal was very popular early on in the hobby. Today most collectors are more concerned about bank of issue and condition. Serial number one bank notes are also extremely popular. The First National Bank Of Westfield also printed 2,440 sheets of $10 original series national bank notes. A print range between 1,000 and 2,500 is small. Combine that with something that was printed before 1875 and you can imagine that these notes are few and far between. These notes were issued during the glory days of the national bank note era. Each $10 bill was pen signed by the president and cashier of the bank. Small towns and large cities both issued these notes. Of course the small town issuers tend to be scarcer today. Prices range from $500 to thousands of dollars (and more if the condition and rarity warrant it). Contact us if you need help valuing your bank note. The First National Bank Of Westfield also printed 750 sheets of $20 original series national bank notes. That issue number may or may not sound like a lot of sheets depending on your experience with collectible currency. However, all original series $20 bills are rare. The production amount is irrelevant when it comes to values. These seem like common issues until you want to buy one. These just aren’t readily available from rare banks in very fine or better condition. We definitely feel like these are undervalued in today’s market. The First National Bank Of Westfield also printed 750 sheets of $50 original series national bank notes. The printing number for original series $50 bills is irrelevant. There are only about 35 known to exist from all banks in the country. Despite being extremely rare, condition is still very important. Lots of first charter fifty dollar bills are heavily circulated; there are significant premiums for anything that grades extremely fine or higher. The First National Bank Of Westfield also printed 300 sheets of $100 original series national bank notes. The same piece of advice applies here as it does to first charter fifties. These are rare enough to the point that printing numbers don’t matter. The same condition guidelines apply to original series $100 bank notes. These traded hands frequently and are often found in “well-used” states today. As with other bank notes, there can be huge price gaps between different grade points. 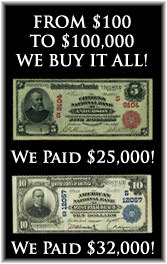 The First National Bank Of Westfield also printed 21,769 sheets of $5 1882 brown back national bank notes. When we start talking about a printing number in the five figure range, then you are likely not dealing with a great rarity. However, the note could certainly still be popular and valuable. You can take the total number of sheets printed and multiply that number by four to get the exact number of 1882 $5 brown back bank notes this bank issued. Each note has a portrait of James Garfield on the left hand side of the bill. These are very popular with collectors because they have different text layouts. Some notes are worth as little as a few hundred dollars, but most are worth a good deal more. The First National Bank Of Westfield also printed 12,636 sheets of $10 1882 brown back national bank notes. When we start talking about a printing number in the five figure range, then you are likely not dealing with a great rarity. However, the note could certainly still be popular and valuable. There were three $10 bills printed on a single sheet of 1882 brown backs. The design of the bill is similar to all earlier ten dollar national bank notes. The nickname comes from the fact that these bills have a brown seal and brown overprint. Despite saying series of 1882, these were actually printed by some banks up until 1908. The date you see in cursive relates to when the bank first started issuing brown back notes. The First National Bank Of Westfield also printed 12,636 sheets of $20 1882 brown back national bank notes. Due to the way brown back sheets were printed we know that the sheet output number equals the number of $20 brown backs printed. When we see a number over 10,000 there is a good chance that the note isn’t going to be especially rare. However, it never hurts to ask. One neat thing about all brown backs is that they each have a different back design based on which state issued them. The back left hand side of the note shows the state seal of which ever state the national bank was located in. Generally speaking, 1882 $20 brown backs are pretty difficult to locate. They typically were printed in small numbers and they don’t have a great survival rate. The First National Bank Of Westfield also printed 2,510 sheets of $50 1882 brown back national bank notes. Not many banks printed $50 1882 brown backs. Sheet outputs aren’t extremely important. However, it is good factual information to know. The most common 1882 $50 brown backs are worth about $5,000. However, some can be worth more than $10,000 based on condition, serial number, and bank of issue. The First National Bank Of Westfield also printed 2,510 sheets of $100 1882 brown back national bank notes. Just because this bank printed more than 1,000 one hundred dollar brown backs does not mean that they are all common. We are very interested in purchasing $100 1882 brown back national bank notes. We have paid more than $15,000 for some examples. Send us pictures of what you have and we will respond quickly with an appraisal and offer. The First National Bank Of Westfield also printed 15,750 sheets of $5 1902 red seal national bank notes. 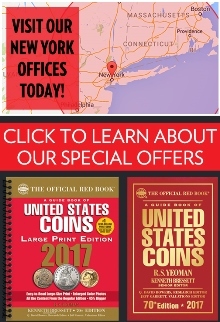 Very few national banks printed more than 10,000 red seal sheets. Five dollar red seals are typically a little bit rarer than some higher denominations. That rarity is typically just a result of small issuances. Most national banks preferred to issue $10 and $20 1902 red seals. Each one of these five dollar bank notes has a portrait of Ben Harrison on the left hand side of the bill. Most people are quick to notice the cursive charter date with a year between 1902 and 1908 written on it. That date will never affect the value. The First National Bank Of Westfield also printed 8,780 sheets of $10 1902 red seal national bank notes. That may sound like a high number. However, red seals did not survive in large numbers. It is likely still quite rare. Collectors love ten dollar 1902 red seals. They usually represent the rarest bank notes printed by any national bank. Don’t let the term “series of 1902” confuse you. These were actually printed for about six years between 1902 and 1908. That is obviously a very short issue period which means that many red seals are quite rare. Each note has a portrait of William McKinley. Be sure to check the number under McKinley. If it is #1 then you are dealing with a note from the first sheet of bank notes issued. Number one bank notes are worth even more money than the already rare red seals. The First National Bank Of Westfield also printed 8,780 sheets of $20 1902 red seal national bank notes. Twenty dollar red seal bank notes have poor survival rates. They don’t command premiums compared to the ten dollar denomination, but they are definitely rarer. All 1902 red seals were printed on four note sheets. There were three ten dollar bills and one twenty dollar bill per sheet. The 1902 $20 notes have a portrait of Hugh McCulloch on them. The charter number and seal are both printed in red ink. The serial numbers have a slight blue tint to them. The charter number is printed around the border of the note several times. The bank’s title is right in the middle of the note and the state of issue is printed just below the title. Remember that all national bank notes are valued based on their condition and rarity. The same rule applies to 1902 $20 red seals. The First National Bank Of Westfield also printed 240 sheets of $50 1902 red seal national bank notes. That is also the exact number of $50 red seals printed by this bank. Each sheet contained one $50 bill and one $100 bill. They are all extremely rare. 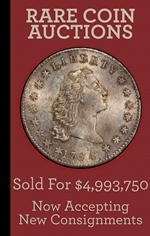 The value for a generic circulated example is usually around $4,000. Most are worth more and some can be worth considerably more. John Sherman is pictured on each note. Otherwise it has the same markings you would expect to find on any 1902 red seal. The First National Bank Of Westfield also printed 240 sheets of $100 1902 red seal national bank notes. As we said above, all high denomination 1902 red seals are extremely rare. The number of notes printed really doesn’t matter to collectors. 1902 $100 red seals are rare to the point that they are always in demand. Of course the standard valuation rules still apply. Condition and bank of issue are of paramount importance. We have paid over $12,000 for some of the rarest specimens. The First National Bank Of Westfield also printed 67,372 sheets of $5 1902 blue seal national bank notes. Sadly, a printing range that high means that these blue seal bank notes from this bank are not going to be extremely rare. Ben Harrison is on the front of all 1902 $5 blue seal bank notes. This happens to be the smallest denomination issued for the 1902 series. Each note is complete with a blue seal and blue charter number. Despite saying series of 1902, these were actually issued by national banks between 1908 and 1928. There are two different types of blue seals. The first type is called a date back and it has “1902-1908” written on the back of the bill. The other type is called a plain back; it does not have the date stamps on the back of the bill. The values for these notes range widely based on condition and the bank of issue. The First National Bank Of Westfield also printed 44,170 sheets of $10 1902 blue seal national bank notes. Once a bank prints more than 10,000 sheets of blue seals it becomes very difficult for those notes to be rare. 1902 $10 blue seal bank notes all have a portrait of William McKinley on them. Values can range from as little as $40 up to over $10,000. There really is no trick to know what is rare and what is common by just doing an internet search. You really need to work with an expert (like us) in order to determine the value of your specific bank note. There are at least ten different factors than can make some 1902 $10 blue seals worth more than others. We know exactly what to look for and we would be happy to provide a free appraisal and our best offer. The First National Bank Of Westfield also printed 44,170 sheets of $20 1902 blue seal national bank notes. The same rarity rules for 1902 $10 blue seals also apply to $20 blue seals. Just remember that $20 bills are by nature three times rarer (unfortunately they don’t command a premium over other denominations). Hugh McCulloch is pictured on the front of each bill. Contact us if you need pricing help. The First National Bank Of Westfield also printed 605 sheets of $50 1902 blue seal national bank notes. There is no trick to knowing which 1902 blue seals will be common and rare. Often times the number printed won’t tell you much information. The value still comes down to condition and demand. That is a surprise to most people. In fact, most 1902 $50 bills we see are worth between $750 and $1,250. The rarer ones can be worth more than $5,000. However, there isn’t much middle ground. The First National Bank Of Westfield also printed 605 sheets of $100 1902 blue seal national bank notes. It is no coincidence that the sheet numbers for $50 bills and $100 bills are the same. They were printed on the same sheets. Most $100 blue seals are at least scarce; others can be very rare. John J Knox is printed on the front of each bill. Most collectors like the back design a lot more though. It is really unique and different from most other national bank notes. Prices for 1902 $100 blue seals are pretty similar to $50 blue seals. They are both equally common or equally rare, depending on how you look at it. The First National Bank Of Westfield also printed 8,490 sheets of Type1 1929 $5 national bank notes. Sadly, based on a number that high, there is basically no chance for these notes to be especially rare. Every 1929 $5 bill has a portrait of Abraham Lincoln on it. This is also the lowest denomination of small size national currency that any bank issued. All serial numbers end with the letter A and start with a letter between A and F. Remember that you can take the total number of sheets printed and multiply it by six get to the actual number of bank notes printed for this denomination. All small size national bank notes were printed on sheets of six. The First National Bank Of Westfield also printed 4,774 sheets of Type1 1929 $10 national bank notes. That is a pretty typical sheet output for a national bank during the small size era. Each $10 bill from 1929 has a portrait of Alexander Hamilton on it. The black number written vertically is the charter number. The charter number never affects the value; it is just an identifier. The ten dollar type1 national bank note happens to be the single most common national bank note, with over 65,000 known to exist from all banks. Of course each note is valued based on its condition and rarity. Some are very rare. The First National Bank Of Westfield also printed 1,308 sheets of Type1 1929 $20 national bank notes. That is a pretty typical sheet output for a national bank during the small size era. Andrew Jackson is featured on the front of each 1929 $20 bill. Be sure to take note of the serial number on your specific bank note. If it is 000001 then you can expect a nice premium. There is a special market for serial number one bank notes. Of course, even if the number isn’t #1, it could still be collectible and have a high value just based on its condition and rarity alone. The First National Bank Of Westfield also printed 15,167 individual notes from the type2 1929 $5 national bank note series. This is a pretty typical print run for type2 national bank notes. Values will be across the board based on demand. This was an easy and popular denomination for national banks. Five dollars could buy a lot of different things back in 1929 and the early 1930s. 1929 type2 five dollar bank notes are available in quantities today. However, some notes can be extremely rare. The exact value all depends on the bank of issue and condition. Contact us and we would be happy to give a free appraisal. The First National Bank Of Westfield also printed 7,983 individual notes from the type2 1929 $10 national bank note series. This is a pretty typical print run for type2 national bank notes. Values will be across the board based on demand. The easiest way to spot the difference between type1 1929 $10 bills and 1929 type2 $10 bills is in the serial number. Type2 notes have a serial number that ends with a number. 1929 type1 notes have a serial number that ends with the letter A. Generally speaking, these $10 bills are rarer than the earlier type1 issues. However, most collectors don’t pay more for that rarity because they look basically the same. The First National Bank Of Westfield also printed 2,424 individual notes from the type2 1929 $20 national bank note series. That may seem like a high number, but remember that is total notes printed for the denomination, not sheets printed. One of the great things about 1929 type2 $20 national bank notes is that they really aren’t that old and some can be extremely rare. Until the big head $20 series started there really wasn’t much difference between something printed in 1929 and the same bill printed in 1993. We have bought some examples in the past few months that people just found in their change.